“Trust in the LORD, and do good; Dwell in the land and cultivate faithfulness.” (Ps 37:3). 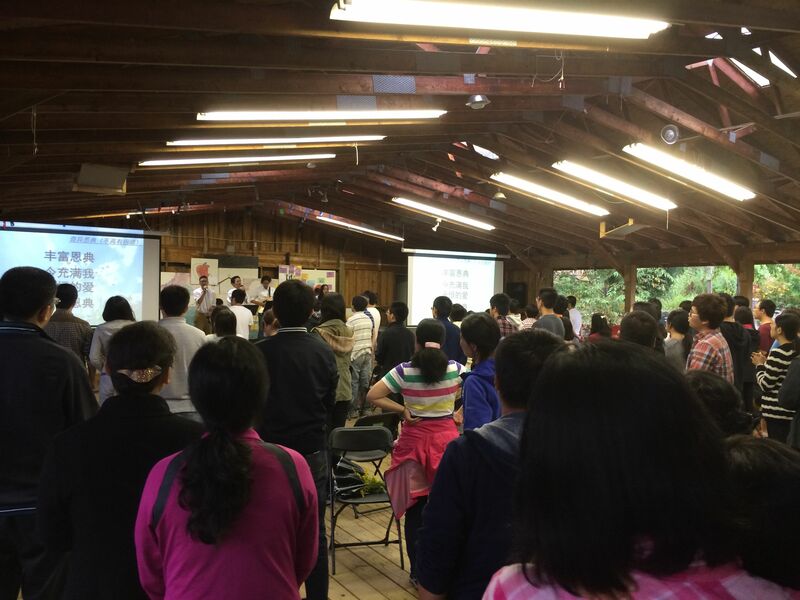 The Labor Day Retreat, with about 150 Chinese in attendance, was great.What a wonderful opportunity to share the gospel. I was also privileged to get re-acquainted with one of my old missionary colleagues who was the speaker! As a second bonus, I also got to see our daughter, Elizabeth and her husband Brooks, who were helping out. I have been quite busy with prep for Romans Sunday Training class, arranging the Visaya translation for BFF’s upcoming Pastor/Christian leadership seminar in southern Philippines, and shaping Christian Premarital Counseling into paperback form. One advantage of CPC is that it encourages premarital counsellors to customize the forms and handouts with the digital downloads. BFF resources retain that strong Biblical influence. The older I get, the more I can affirm that the closer one stays to God’s instructions, the better one’s life is–marriage included. Sat. Oct 4th, I will depart for the Philippines followed by a brief trip to Taiwan (see map). Other than working out lodging here and there, all is set. We expect 80 Christian pastors and leaders for the first seminar. I praise God for giving these isolated pastors time to be refreshed in the Lord’s Word. These pastors love attending these seminars. They greatly lack solid and practical teaching. BFF resources enable them to help them and their congregations grow. We will, as requested, award certificates for the attendees. They will not only be challenged to grow spiritually, but also to implement discipleship training and basic counseling in their ministries. This training has helped so many. Keep praying. Praise God! The first $100 has come in for STM Philippines. As usual, income is low in the summer so that our faith can grow in the early fall (different kind of harvest!). So do pray for full provision for all needs including the STM. Fortunately, this time we have had some extra from the previous STM to defray some immediate expenses. Pray for grace as I will speak around 25 times in a short two weeks: health, safety, good connections and most of all to see God use His powerful Word in the hearts and ministries of the attendees. Most of the leaders will need to travel to attend. We help with lodging and food in the first seminar enabling them to attend (about $30 per person for 3 days). The second seminar, in the mid-section of the Philippines is organized by a large mission-minded church which will seek out many leaders to attend, a good number from neighboring islands. The pastor chose this D1 seminar because so few understand or are involved in discipleship. Yes, they are Christian leaders and discipleship is key to great training, but training in this area is almost nonexistent worldwide. Jesus left the challenge to, “Go and make disciples of all nations!” as one of our pre-eminent life directives (Mat 28:20). In Taiwan, I will meet up with a number of pastors and missionaries in my short 4 days there. I will also visit the church that started in our home way back in 1986. The Visaya handout is translated and almost ready. The second seminar leader already has our handouts in three different languages including Spanish. Two more books have proofs on the way (Redemption Through the Scriptures and Christian Premarital Counseling). Very grateful for a team of volunteers to help shape these books into paperback format! Allison is supposed to move to her West Manhattan place today! Thank the Lord for $100 for the current STM! Pray for God’s full blessing on the attendees in the Philippines (Oct 4-18). Paul is preaching on Sept 21. Strength, health, provision and protection for STM and for BFF as a whole. Continued focus to do more book preparation. Reflecting and discussing BFF’s strategy. May we hear what God has to say. We are busy preparing for Benjamin and Christina’s Wedding Celebration on Sept. 27th ; strength for Linda.